Light pink pussyhat, double thick brim. 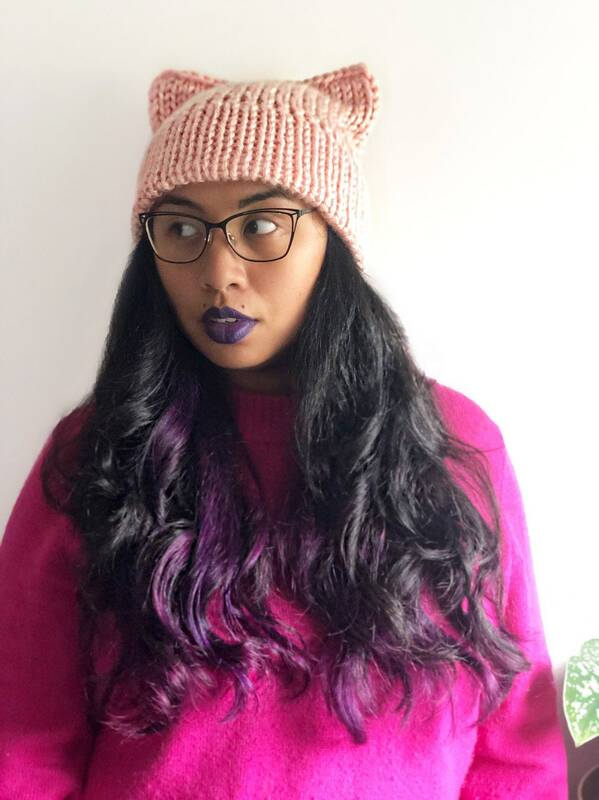 What would be better than to rock this pink pussyhat and show your support for women everywhere! The brim is double thick for warmth just in case you feeling like marching for equality somewhere. Women’s rights are human right, am I right? The yarn is 100% acrylic baby! I'm good to go with paypal, which doesn't necessarily work with everyone, but I think it's the safest way to go. But you can also pay with a credit card, when buying the item, choose the PayPal option and then just click the link that says pay with credit card. Shipping will take 1-2 weeks after the order is made. This accounts for making any items that are custom order or made to order as well as the 3-5 business days it takes for USPS to deliver a package. Thank you for reading the return policy for my hand crocheted and knit items. If you are unhappy with any or all pieces ordered from my shop or myself, please let me know within 7 business days of receiving your order. I am happy to do a complete refund upon return of item/s, if 1) item/s are returned within 7 business days of reception by you (return shipping will be paid by you the customer) and 2) item/s are returned in perfect/near perfect condition. I also request, that if possible, that a reason is given for the return. Thank you so much for your time and please do not hesitate to call with any questions or concerns. I am open to doing custom orders, so feel free to convo me if you want something in a different color.